‘The third time is the charm’ was the comment from entrepreneur Mogens Løkke, CEO at ECOmove, when he received the news that ECOmove had qualified for the grand finale in the European Venture Contest 2014. 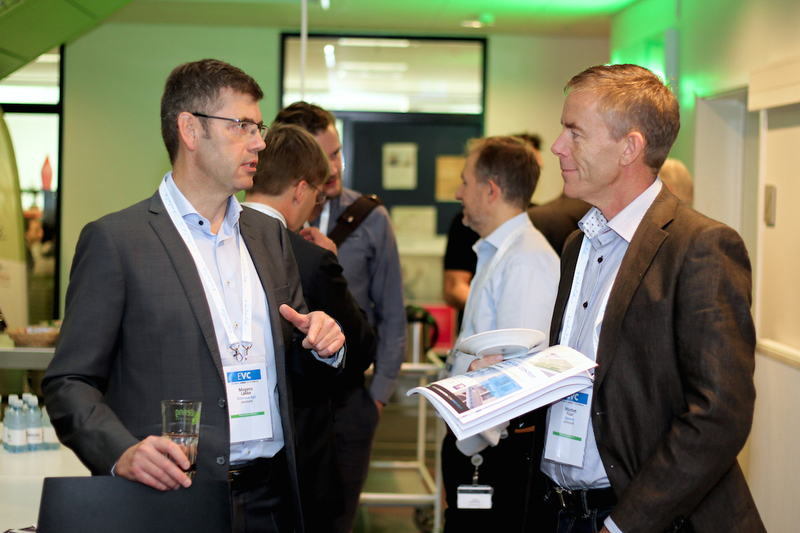 In their 3rd participation in the European Venture Contest Energy, ECOmove was up against strong competition when entrepreneurs from all over Europe gathered in Vitus Bering Innovation Park in Denmark on October 8th and 9th – it was truly two days full of energy. Here, Innovative ideas combined with the vision of making the world greener culminated in a top-tuned line-up of finalists. The finalists will now fight for European recognition at the European Venture Summit in Düsseldorf in December 2014. With innovative business ideas, including everything from the future’s version of automated electric-driven public transport to self-inflating inner tubes for bikes, ECOmove impressed the jury with their idea of producing lightweight chassis for electric cars of the future. 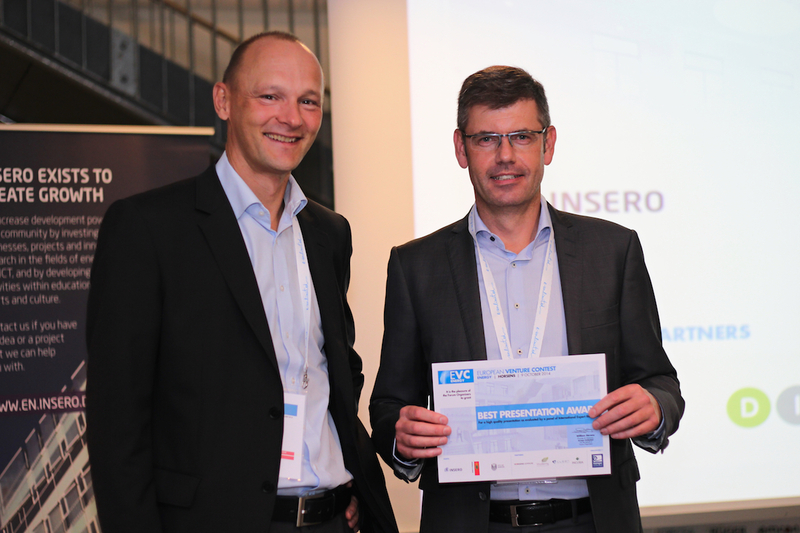 Christian Bjerre Bojsen, Investment Manager at SDTI Denmark, was on the judging panel when ECOmove pitched, and he saw ECOmove as an outright winner. – By making transport lighter, you can save both CO2 and fuel, which creates a host of opportunities in the transport industry. Their solid business foundation combined with their green profile make up a strong business model with great potential. This – in my eyes – makes ECOmove a worthy winner, stated Christian Bjerre Bojsen. It was a surprised CEO who stood on the winning podium on October 9th, when a jury consisting of investors and industry experts announced that ECOmove’s idea is so innovative and realisable that it deserved to go to the finals in the European Venture Contest Energy 2014. Such recognition of ECOmove’s business model charts the course for the company’s onwards journey – now with the prospect of an actual spin off, according to Mogens Løkke. – I didn’t anticipate a victory. Therefore, it came as a big surprise to me when we were announced as one of the finalists. We participated in the competition, because it was a good opportunity to test our concept and business model. The fact that we are among the finalists confirms that there is in fact great interest in our idea, and it has certainly encouraged us to take the next step in the process, which is to make a spin off and raise money for the project. Besides qualifying for the final in Düsseldorf, it turns out that two of the jury members were so interested in our concept that they wanted to hear more about it – that is certainly a good sign. Consequently, there is no doubt that our participation in the competition has created great value for us, explains Mogens Løkke. ECOmove is one of Insero’s venture investments, located in Vitus Bering Innovation Park in Horsens, Denmark. European Venture Contest Energy 2014, which has the purpose of matching innovative business ideas with investor capital, was arranged by Insero and Vitus Bering Innovation Park in cooperation with Invest in Denmark, Horsens and Aarhus municipalities, and not least the European network organisation Europe Unlimited, which is behind all ’Venture Contest’-competitions in Europe. 30 companies from all over Europe participated in the competition in Vitus Bering Innovation Park in Horsens. Every year, approximately 800 companies in total apply for participation in the competition. Hence, the companies that came to Horsens to compete for a seat in the final represented the best-qualified companies within the area of energy. the profile of the project. The European Venture Summit takes place on December 8th – 9th 2014 in Düsseldorf. Here, more than 100 innovative cleantech and life science companies from all over Europe will present their business ideas to an international audience consisting of investors, innovation experts and corporate representatives. About 120 expert investors will evaluate the business ideas and thereafter choose 25 of the best start-ups, who will then be awarded. 400 people are expected to participate in the final whereof 200 are Europe’s most active venture capital or corporate investors.